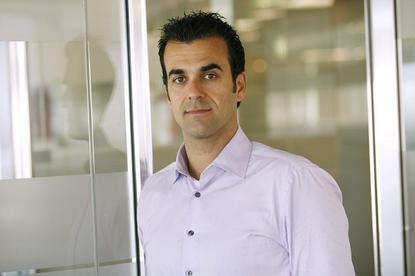 CrowdStrike vice-president of technology strategy, Michael Sentonas. Australian specialised endpoint management services company, Endpoint Focus, has become a partner of endpoint security vendor, CrowdStrike. The move, which sees the local endpoint management specialist join CrowdStrike's Elevate Partner Program, sees Endpoint Focus extend the access of CrowdStrike’s endpoint protection platform, threat intelligence and response services across the Australian region. The partnership means joint customers of Endpoint Focus and CrowdStrike will have access to advanced endpoint security capabilities and services. Endpoint Focus partner and consultant, David Stagg, said the “strategic partnership” with a global cybersecurity technology company like CrowdStrike will enable it to “dominate the market” with endpoint protection. As a small and young organisation, having launched only eight months ago, Stagg mentioned that a partnership with CrowdStrike, a company that has raised more than US$150 million in funding, will see its position in the Australian market significantly enhanced thanks to its new capabilities. The company also works with several other partners in Australia, including Airlock Digital, Flexera Software and Thycotic. “As a relatively new business, we are perfectly positioned to bring next-generation technologies to our customers. The team wholeheartedly stands behind CrowdStrike’s endpoint security platform that enables advanced prevention, detection and response to all types of threats,” he said. He also added that by leveraging CrowdStrike’s technology, end-users will gain protection from malware, exploits, malware-free intrusions and other advanced threats, on a fully cloud-based platform. CrowdStrike vice-president of technology strategy, Michael Sentonas, said the CrowdStrike Elevate Partner Program provides technology partners, solution providers, system integrators and managed service providers with the capability to deliver breach prevention to customers. “We are pleased to have Endpoint Focus join our growing partner program, given the exponential customer demand we are seeing across APAC for our Falcon platform. “Endpoint Focus is already a trusted authority in the endpoint protection market and we are enthusiastic about joining forces to bring technologies and services to organisations across the region,” Sentonas mentioned.